Our homes aren’t here to simply meet expectations. They’re here to exceed them. At Valecraft, we’re all about creating extraordinary experiences that serve as the foundation for many years of happiness. We strive to deliver outstanding value and a rewarding, worry-free home purchasing experience, but it’s more than just that. 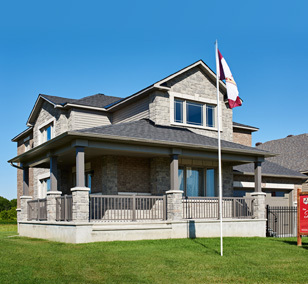 We take the passion for our work further in designing and building some of the most beautiful, functional, and premium quality homes in the Ottawa area. We also work with homeowners to customize and finalize their new properties, right down to the finish on the cabinetry and what type of moulding to install. A few more key points: we’ve never missed a closing date in over 37 years of operation. We offer comprehensive and dedicated support for any questions, concerns or ideas you may have. You’ll find the best quality and the most meticulous attention to detail in every single home we conceptualize and build. We offer many different varieties of homes because we have many different types of clients with unique needs. Some are commuters with several kids, others are pet-lovers and want the most convenient location possible. Then there are the fitness enthusiasts with an eco-friendly mindset, the young family looking to expand, and many others. Altogether, that’s a whole lot of personality! Therefore, we build different kinds of homes to help homeowners find the perfect fit. There’s something for everyone when it comes to choosing a Valecraft home! 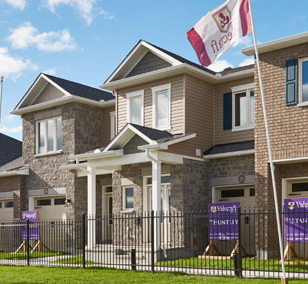 Combined with our exceptional service quality, Design Centre colour and upgrade consultation, and a wide selection of beautiful communities created by us for you to call home, it’s never been a better or more rewarding time to move in. 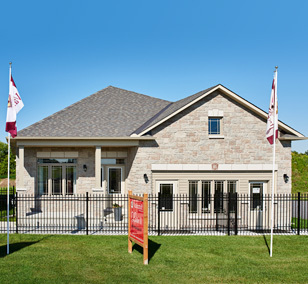 Stop by one of our model homes for a visit or contact us for more information! We’d be happy to welcome you to the neighbourhood!